What is the minimum cost to make the Chain ? I want to join them and make a chain as shown in the image. It involves cutting and welding(joining) the metal rings. Cutting the ring cost Rs10/- for each cut. 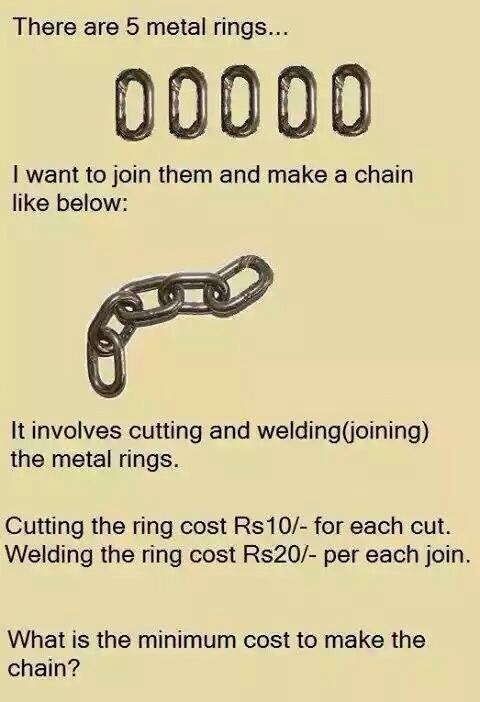 Welding the ring cost Rs20/- for each join. We only need to cut and weld the 2nd and 4th ring.